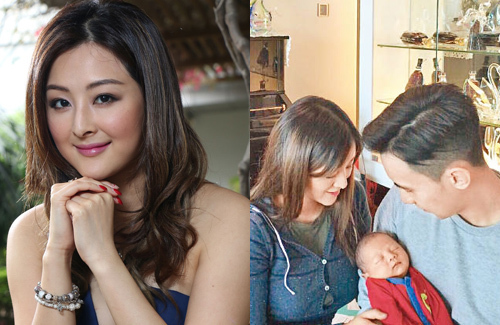 First-time parents, Carat Cheung (張名雅) and Joe Choy (蔡錦豪), welcomed their baby boy, Mario Choy, at the end of March. After their wedding in September last year, the couple announced that they were expecting in November. Although the baby was scheduled to be due at the end of April, Carat went into labor early. Doctors were at first concerned that the baby may only weigh five pounds, but Mario was a healthy seven pounds at birth! Joe stayed by Carat’s side during labor and cut the umbilical cord. Congratulation! BB is very cute! I would say the baby boy look more like the dad and he’s very cute. At least they introduce Mario to the world unlike Ruby Lin and Angelababy keep it so private. Congrats to them.